Special event! 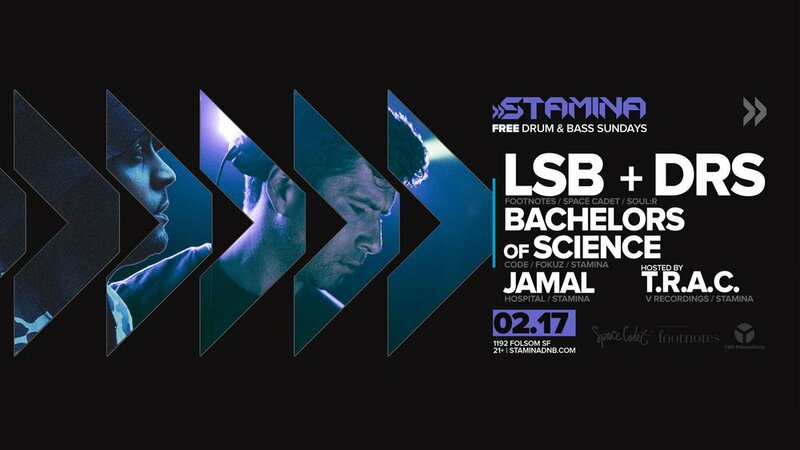 The liquid DNB virtuoso LSB and legendary vocalist MC DRS present The Space Age in San Francisco. Plus Stamina residents T.R.A.C., Bachelors Of Science, and JAMAL. Free as always. 3 day weekend. No excuses!